The region is in southern France and borders Italy with a coastline on the Mediterranean sea. 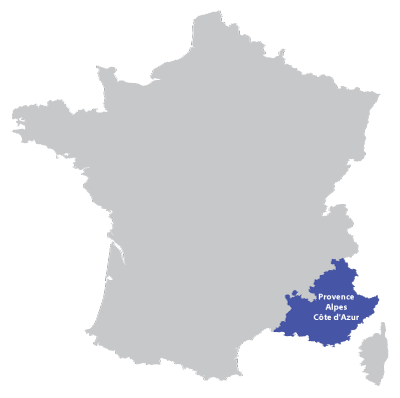 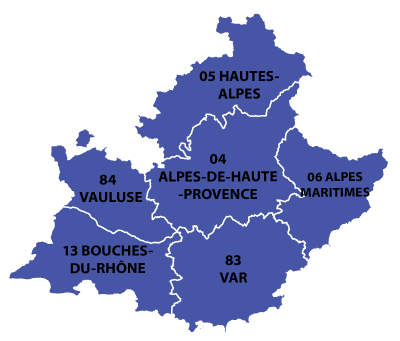 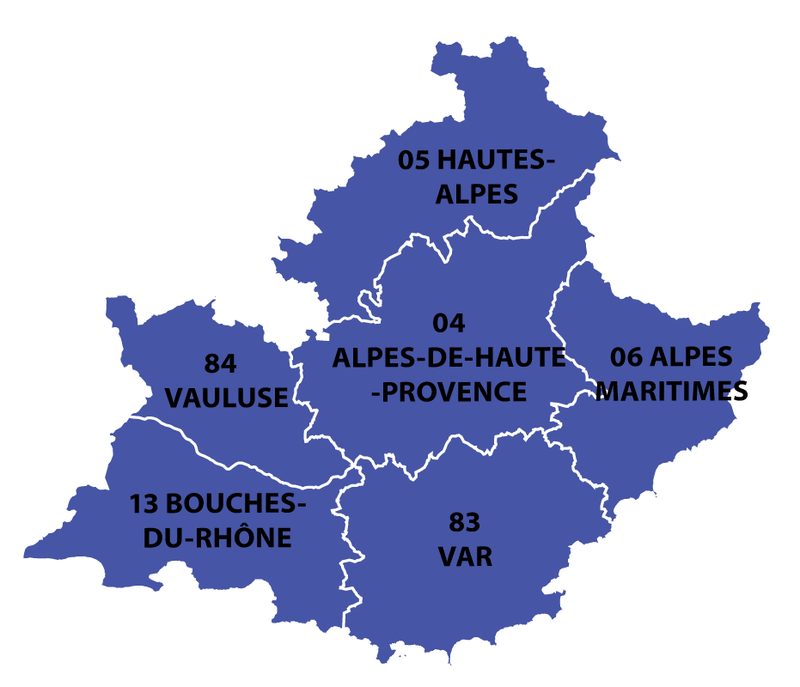 The region Provence-Alpes-Cote d'Azur is often called PACA. 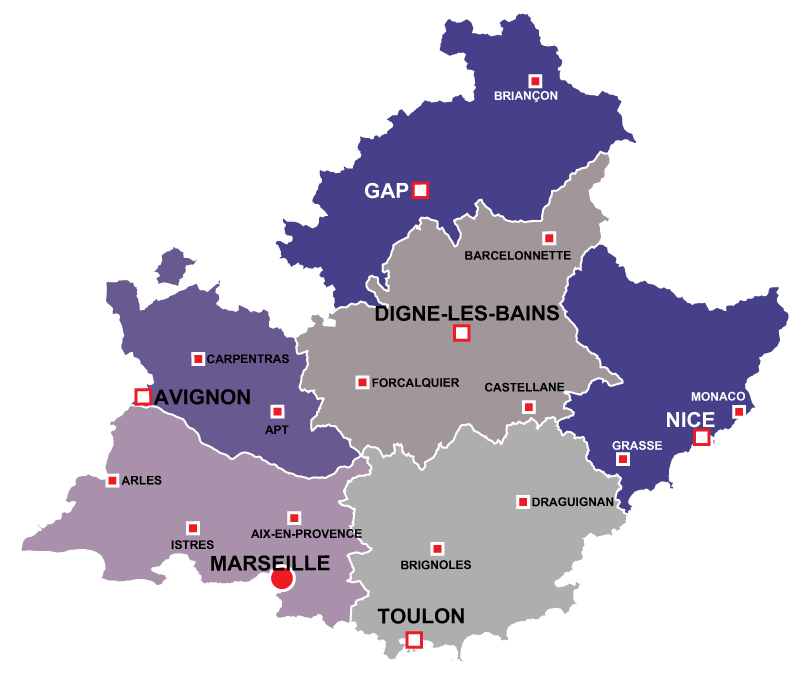 From the Alpine mountains down to the sand beaches of Saint Tropez, Cannes, Nice, the region is an important destination for tourist offering a favourable climate all year round.